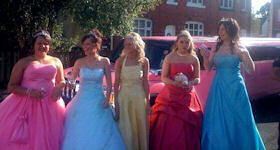 The new Limo Hire Hinckley offers you the Ranger Rover Sport Limousine to hire. Range Rover are known as a great car makers throughout the world as they make the most prestigious cars to be driven anywhere from roads to muddy surfaces. However, now Range Rover has designed the Range Rover Limousine, which looks exactly like the Range Rover but stretched to look larger than life. This limousine is as fast as the Range Rover but with a larger body. We do now hold this car and it is available for hire for all our customers to gain the best experience by hiring our range rover sport limousine which at the moment is in the colour silver. So don't miss out, hire the Range Rover Sport Limo today and make it the drive of your life because limousines like the Range Rover don't come everyday. 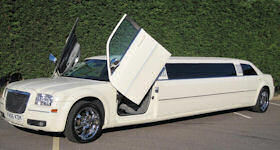 This limo is one of a kind and with its 22" vogue alloy wheels you will notice it from anywhere. This great range rover sport limousine is available for hire on many occasions such as weddings, dinner dates, birthday parties and even hen and stag nights. The Range Rover Sport limousine is perfect for any occasion as it is one of the best limousines in the world. So don't miss out, contact Limo Hire Hinckley to hire the extravagant Range Rover Sport Limousine today and be seen in our classy limos as we treat you like a VIP and in turn make you feel like a star! 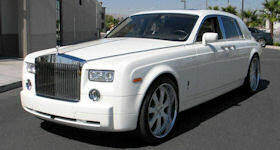 Heads will turn as you drive in excellence around your local area in one of the classiest motor vehicles in the world.